Community-led housing, at its core, is about the community being in direct control of a housing development. It covers a range of models that can include community groups directly managing and developing properties, or alternatively see the community retain control or ownership whilst tasking others to undertake the development or management on their behalf. Hopefully, as a result of a community-led housing project, local community needs are kept at the heart of determining how new homes are built. Community Action Norfolk delivered, on behalf of the ACRE Network, one of a series of events introducing community-led housing. These regional roadshows were funded by Nationwide Foundation. 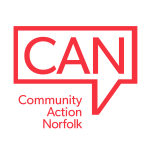 The presentations below relate to the event covering Norfolk, Suffolk, Cambridgeshire and Essex, on 8th August 2018 at The Maltings, Ely. If you would like more information about Community-led Housing please contact us.